The Tello quadcopter developed by Ryze Tech in collaboration with DJI proved a capable tool for public safety professionals. Photo by Steve Rhode. Small, unmanned aircraft with exceptional current capabilities are available for public safety pilots at a wide range of price points. Some of the purchase prices of highly promoted equipment are needless budget-busters, especially for smaller police and fire departments. It's easy to go out and spend $20,000 or much more on a UAS setup, but what most public safety professionals I talk to have not focused on is that even the expensive aircraft of today are still just entry-level UAS equipment. In a year or two, we will look back and shake our heads at their limited capabilities. I get many questions from departments across the country about what drone to purchase first. Rather than give the conventional advice, I began a hunt for the least expensive option I could find that would still be useful. Not perfect, but useful. I found a $99 winner. For a department just starting a UAS program, the toughest part of the process is not flying the UAS, it is developing policies and adjusting historical processes to incorporate the UAS, and using this tool to provide unique and actionable information to improve the outcome of any given incident. Every department needs an inexpensive UAS to start with that that can be used for training and crashing. To my surprise, the tiny Tello, a product of Ryze Tech in collaboration with DJI, delivers a lot of public safety value for the money. It is not only an inexpensive starter model for training, it can also snap photos and video to document an incident, and even fly inside a house to look for the perpetrator. This little quad is impressive. The Tello is sold as a toy and doesn't have all the superior accessory capabilities larger aircraft do. The range is limited, and the picture is okay, but this little sucker is a perfect tool for public safety pilots to fly. I purchased the $149 package from Amazon for testing, which comes with some extra batteries and a lightweight cage that shields propellers, allowing Tello the freedom to bump into things without crashing. The cage is an accessory worth having. To put this UAS through a tough test, I made a point not to do any research or read any instructions before I pulled it out of the box for a test flight with the police department tactical team. I wanted to test it in a stressful environment to see if it really was intuitive to fly. To fly the UAS, you don't have to purchase a controller; just use the free app and your smartphone. It works perfectly fine, and the virtual joysticks operate as they do on a physical controller. I put the protective cage on the little Tello and threw it through an open window. The design of the cage will keep it upright after a fall (unplanned landing) more often than not, ready to get airborne again with two swipes of your finger. An automated takeoff will get it off the ground and establish a hover about four feet off the surface. From there you can take over flight using your smartphone and virtual joysticks.  The aircraft connects to your mobile device via Wi-Fi, with password protection easily accomplished. The inexpensive drone has none of the fancy features like a return-to-home function or sophisticated collision avoidance typical on more expensive drones. But you can throw it into the air to start your flight and catch it in your hand when you are done. While the camera is not the highest resolution camera flying, it gets the job done. The still images are of a higher resolution than the recorded video. In flight, the video is informative when observing using your smartphone. The Tello UAS with the battery weighs less than 3 ounces. With the cage on the aircraft, it becomes a small, quiet, tool that can be flown without much concern of hitting objects and causing damage or ending the flight. Based on my testing, this $99 UAS has a real place in public safety flying. The batteries charge off a powered USB port and can be carried in any vehicle. The aircraft takes up little space, and we all generally carry a smartphone in our pocket. Fire-and-rescue departments can use the unit to document scenes or navigate indoors, or in similarly tricky environments, quickly. If it is not too windy out, a unit like this would be handy to have to size up the lay of the land much faster than a large drone can be safely launched. I've tested it to get a quick look at the roof of a commercial structure with an interior fire. I swiped the app to take off and in less than 15 seconds I was looking at the roof. From a law enforcement perspective, the unit can be used inside structures and to conduct outside evaluations of tactical situations. I can also see this as a handy tool if an officer needed to get a quick aerial view of an incident scene for a report. Because the unit weighs less than 0.55 pounds, it does not need to be registered with the FAA, but pilots flying this in public safety roles should still have a Part 107 remote pilot certification—public safety use is not considered a noncommercial operation. The beauty of this little UAS is you can have 10 of these standing by for the cost of the typical “entry level” unit. If you lose one of these on an incident scene, well, you're only out $99. Steve Rhode has been flying manned aircraft since 1988, and is an instrument rated private pilot as well as a certificated remote pilot. 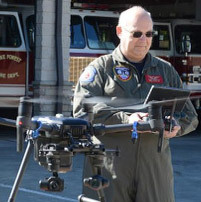 Steve serves as chief pilot with the Wake Forest Fire Department in Wake Forest, North Carolina, and as an unmanned aircraft instructor.